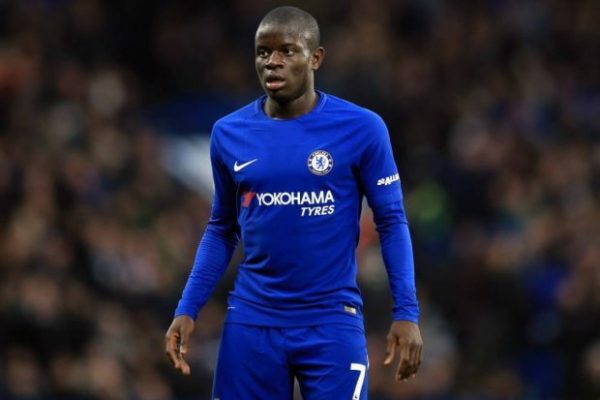 La Liga heavyweights Real Madrid are reportedly planning a summer move to land Chelsea star N’Golo Kante in the summer transfer market, the latest reports say. According to a report by a British daily newspaper the London Evening Standard, French coach Zinedine Zidane has set his sights towards the Blues, but not for Belgian Eden Hazard. The newly reappointed Los Blancos manager is interested in signing French star N’Golo Kante in the upcoming summer transfer market. Frenchman has been one of the best imports into the English top flight over the last five years, having first influenced to no end at EPL club Leicester City in their shock EPL title triumph in the 2015-16 campaign. He subsequently joined the Blues in the summer of 2016 and made an instant effort yet again. In his first campaign at Stamford Bridge, N’Golo inspired Chelsea to the summit of EPL and was also named as the Player of the Year in 2017. Since then, Kante has continued performing at top levels, even when played out of role by Maurizio Sarri this term. But, his long-term future could be away from Stamford Bridge, with Los Blancos showing an interest in the player. Changes are in effect at the Santiago Bernabeu, with Argentine club Santiago Solari being sacked after a disappointing run of results and straight away replaced by French tactician earlier this week. Upon returning to Los Blancos after just a nine-month hiatus, the French star is poised to make sweeping changes to the roster he has inherited.